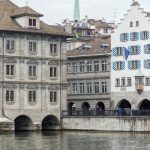 According to the bank Raiffeisen, if rents had followed the path prescribed in the Swiss Code of Obligations, they would be much lower. Their figures show that changes in interest rates have not flowed through to renters. If rents had fallen in step with mortgage interest rates they would be 40% lower than they are currently. The bank’s report stated that while rents have been going up landlords’ costs have gone down significantly. 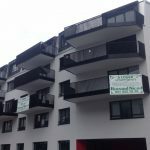 A representative from Asloca, the association of renters, said: “Renters have been taken for a ride over this long period of declining rates.” Adding that their calls to the industry to do something about it have been ignored. While many landlords may have had a good ride, some with fixed rate mortgages on higher rates may have missed out on the savings. In addition, prices in a market based system are driven by supply and demand. With limited new supply of accommodation and continuing high demand, high rents are hard to budge. The only way to really bring them down is to increase supply with more building. Low interest rates might help to spur construction, however, if planning rules restrict construction the supply will remain tight. Willing rents lower without a change in either supply or demand is unlikely to have much impact. The mortgage reference rate, used to adjust some rents, stayed at 1.75% on 1 March 2017. The rate is reviewed every quarter, and allows tenants who have leases which include a rent adjustment clause to request a rent cut. According to a report by RTS, there is a good chance it will fall to 1.5% later this year. 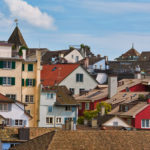 And, according to Raiffeisen, rents dropped across much of Switzerland in 2016. 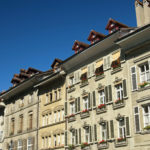 Rents in the Lake Geneva region were down 6.5%. And those around Zurich fell by 3%.